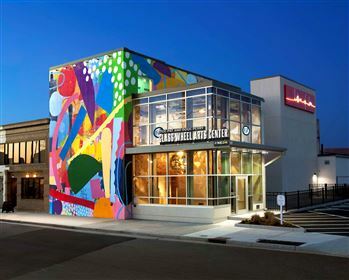 Norfolk’s first official arts district, the NEON District, is home to a new wave of passion and creativity in downtown. NEON, or New Energy Of Norfolk, draws from the neighborhood’s history with the automobile industry as it moves into a new and vibrant future. Long time cultural institutions like the Chrysler Museum of Art and Harrison Opera House anchor the District while new art venues like Glass Wheel Studio and Work|Release provide artists a place to make, create and show. Whether you are a local or visiting for the first time, the NEON District offers a unique cultural experience. Within a few short blocks you can see a muralist at work, take in an improv comedy performance at Push Comedy Theater, watch a live glass-working demonstration, shop for unique home goods, get a tattoo or dine out at an eclectic restaurant. The neighborhood is fast transforming into the place to be. Click here for additional info.